This is adorable! Such a fun piece! I can now see some use for the fabric beads given to me by a friend!! 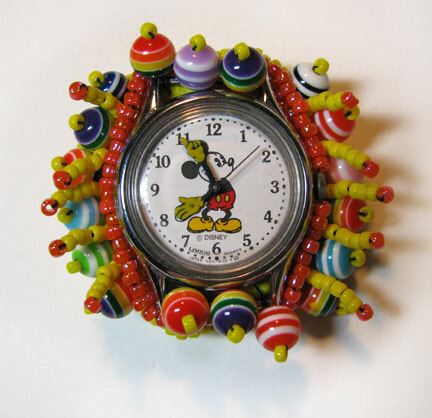 Now to find a mickey watch face! That is so Awesome Cyndi! I love everything about it!